This post is a looooong time in the making because it’s something I’ve lived by for almost 8 years now, so I can’t wait to share more on the topic of swapping out meat and swapping in plant-based alternatives! Also, this is SUCH a hot topic right now (because it’s actually the ‘year of the vegan’ — did you know that?!?!) as we’re entering into a beautiful time of new meat alternatives to satisfy even the mightiest of carnivores, so I knew it was time to tackle this post. I’m calling this the level of meat alternatives because it truly can take steps when eating a vegan diet + you can be the judge of which level works for YOU. I’ll give you meat alternatives for each level, so you can see what they look like, but you can bounce between them all, if you’d like (I’ve been there). I’ve also included a little bit of info on the meat alternatives in each level so you can get a sense of why they appear where they do. Alright… let’s dig in! This level is for someone new to a plant-based diet and/or those that maybe do enjoy meat but are choosing to eat more plant-based (and for that, I fist bump you!) and/or while you’re out & these are the only vegan options available. I like to call this a transition level. It’s fun & easy to eat because it feels like very little change is made, but it’s not exactly pure plant food (we’ll get to that though). Let’s just say we do not want to base our meals around this way of eating for each & every meal because it’s not exactly the healthiest. BUT… these are great intros into a plant-based diet, especially for those needing to feel like they’re eating their “regular” foods. These are all great transition foods and some even taste like meat (impossible & beyond burgers) to satisfy the hard to adapt meat eaters, but they just contain way too many ingredients to make these staples/day-to-day meals. But don’t get me wrong, I LOVE a good vegan meal the odd time using some of these products (Field Roast sausages are my jam for this). Just make sure as you work through this level, you’re considering the next two I’m about to talk about because, like I said, this is a transition level and although, YES, you’re vegan (!! ), it’s not the best way to support your body & rock your health long-term. This level is for someone that has maybe been dipping their toes in the vegan water for a bit now, and is looking to have some better/healthier options, but might not totally be ready to food + meal prep all their vegan cuisines yet. This is a great space to explore as you navigate this way of eating! It’s also a great place to be when you need some convenience, but you also are realizing that quality does matter. These are all great options that have been pre-made/marinated for you to dig into, but still are good from the nutritional standpoint. 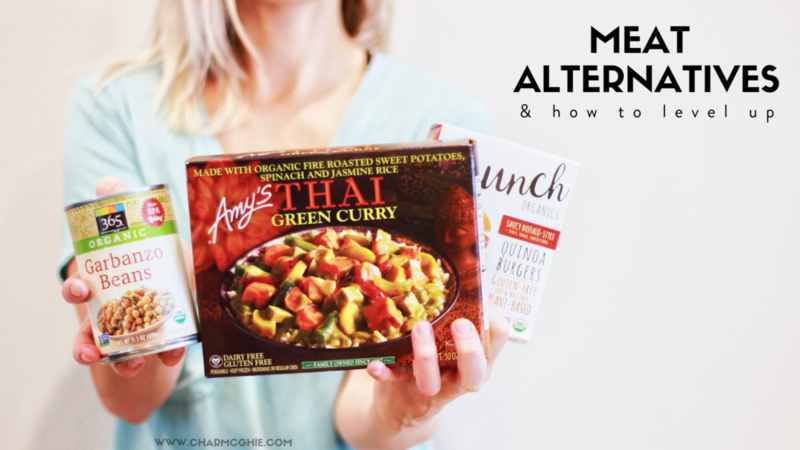 I had to include Amy’s meals in Level 2 because although, yes, it’s packaged and/or frozen, a lot of the dishes contain real foods that are mostly organic. This is where it might not matter that it’s a long ingredient list because they’re actual foods going into the meal. But really… same goes for all the above Level 2 foods—yes some of these items (like burgers & cuisines) are in Level 1 as well, but the difference rests in the ingredients that make it a Level 1 or Level 2 option. As you start to dive into this lifestyle you’ll start realizing how good foods can be with the simplest additions to them—especially if you need to make it convenient. You’ll also find some great ‘ready to eat’ options at grocery stores that have been prepared for you with these better ingredients in mind. 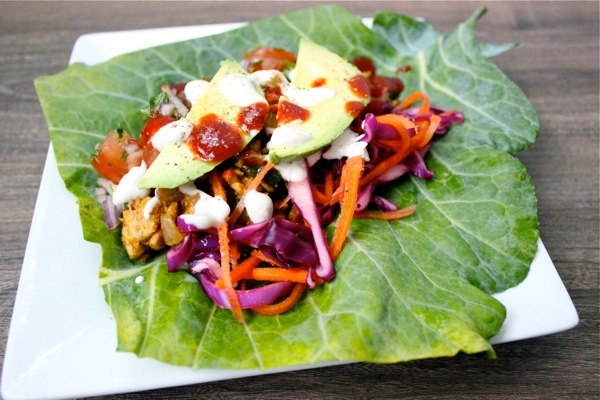 Two examples: tofu or bean wraps & salads at Trader Joe’s or the hot bar at Whole Foods. Important pause: Make sure you’re reading the labels as you venture into this new plant-based world. Some products may look like they’re vegan, but have things like cheese or eggs in them (like I noted above with Amy’s brand as an example). A quick way to scan the ingredient list is to head right to the end of the list where it lists the top items in it (this is where you’ll find things like ‘dairy’ and/or ‘egg’ listed). I tend to still get the vegan items that have the may contain labelling on them, as long as not directly in the product. This level is for those that are ready to dig their hands into real whole foods that turn into scrumptious vegan meals. This ain’t always the easy path, but it’s worth it because it will leave you feeling good (or glowing, as I like to call it ;). And you can also feel good knowing what went into this (aka your love), plus, a huge bonus is you know all the ingredients, too! This is the level I operate at majority of the time now, although I do enjoy Levels 1& 2 around 20-30% of the time. These are basically the staples in my house and what I use to fuel the below! and soooo much more goodness! So you need to bust out your cooking & baking skills a bit, which is never a bad thing. Start with easy recipes (and by this I mean—ingredients you have on hand/know what they are, don’t require a whole lot of prep, can be made with minimal confusion), and once you’ve mastered them, fly outta the nest a bit! Minimalist Baker - they really are foolproof… literally. Their recipe either require 10 ingredients or less, 30 minutes to make, or one-bowl concoctions. I use them for SO much goodness (even as a seasoned Level 3), so I hope you do too! Thug Kitchen - if you need a serious tear-jerking laugh, this book has you covered. I literally die when I make recipes from it. It might not be for you though if you don’t like cursing though… just saying. But if you do, eat your heart out with delicious vegan humour. Oh She Glows by Angela Liddon - I had the opportunity to meet up with her for a blogger lunch she arranged back in the day, which was amazing, because she’s been my vegan inspiration since the beginning. She has two cookbooks (both of which I own) + an app you can use to access all her goodness! 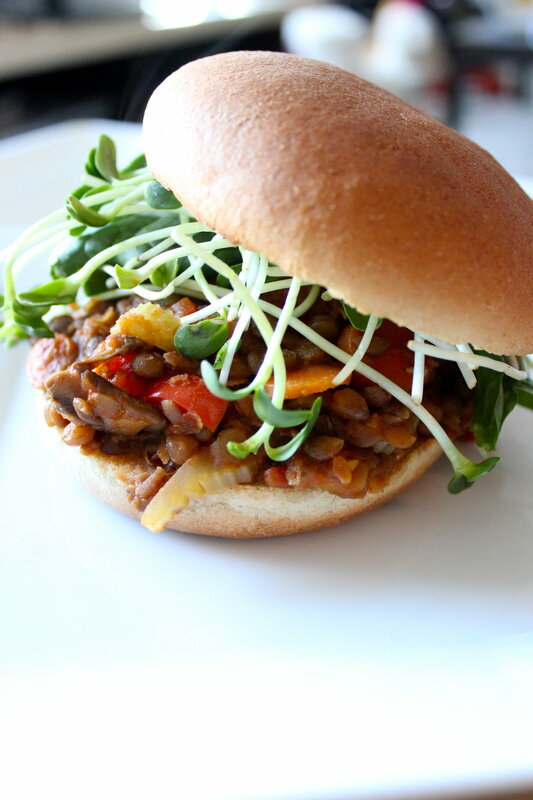 Finding Vegan - I used to use this website ALL the time because it’s a compilation of vegan recipes from around the web all in one hub. You can search for specific recipes you’re looking for or browse (and fall in love with) everything! Alright, there you have it! I hope you’re able to see how awesome it can be going vegan with these three levels of meat alternatives! And just remember… it always comes back to do what’s right for YOU. There’s no ‘one way’ to be plant-based. It’s just making the decision and efforts to choose to eat less meat/remove it altogether, in whatever way that looks like for you. But it was my duty to level up how to swap in plant-based proteins, because your health is my utmost priority! Next talk about meat alternatives will be tackling the objections side of it / what might be holding you back when it comes to switching to plant-based proteins, so if you have any questions to ask, include them below or send me an email!